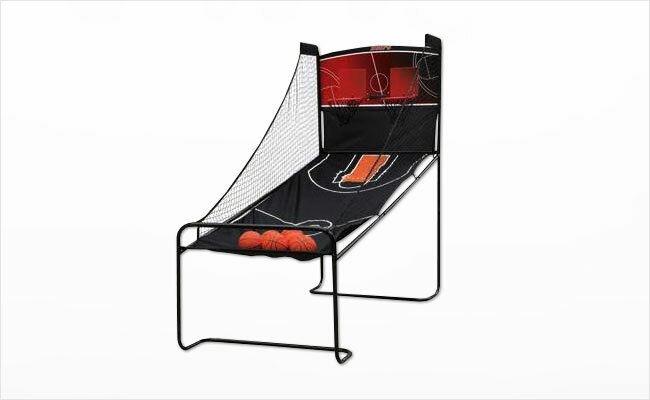 Our double shot basketball rentals are sure to be a slam dunk at your next big event. Each double shot basketball game rental includes the double shot basketball hoops and ball return, as well as five mini basketballs to keep the fun going all night long. Call or email us today for a free quote!